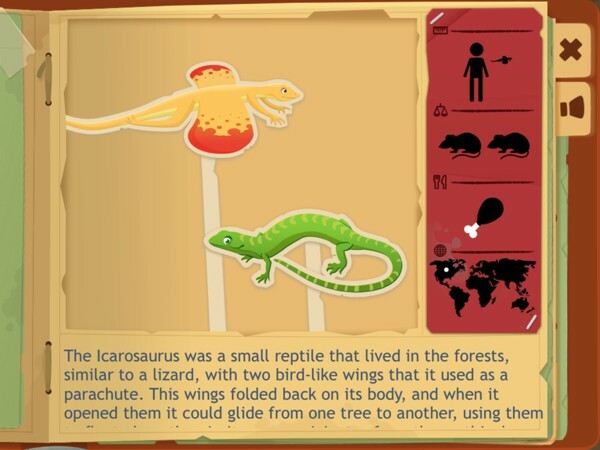 Lots of kids love dinosaurs, so it's no surprise that there are plenty of dinosaur apps for kids. Archaeologist Dinosaur - Ice Age is one of these apps, and it's a good one: fun to play and informative while also appropriate for kids. In Archaeologist Dinosaur - Ice Age, kids accompany Bonnie, a female paleontologist who journeys into an icy land in search of dinosaur fossils. They can choose from two game modes: Ice Age and Puzzle & Colors. Each mode offers 18 dinosaurs to discover. In Ice Age, kids use their pick to dig out dinosaur bones from the ice. When all the bones have been found, they drag the pieces to assemble the dinosaur skeleton. When the skeleton has been completed, they get to read or listen to the description of the dinosaur. Among other things, they learn the name of the dinosaur, its physical characteristics, and where it was found. In Puzzle & Colors, kids choose a dinosaur jigsaw puzzle to assemble then feed the completed dinosaur with all kinds of food. They can also tap the palette icon to enter coloring mode. Using the brush and other drawing tools available, they can color the dinosaur any way they want. Archaeologist Dinosaur - Ice Age is suitable for ages three and up. It's available in 9 languages, including French, German, Italian, Japanese, Chinese, and Spanish. It has no third-party ads and is playable without an internet connection. 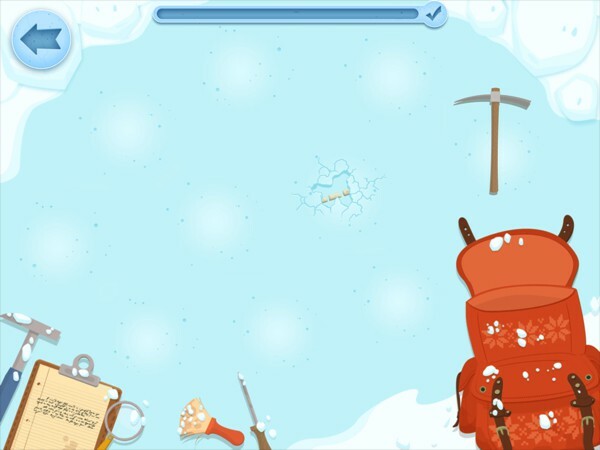 Archaeologist Dinosaur - Ice Age is a fun app for kids who just can't get enough of dinosaur-themed content. It's all about lighthearted exploration, so there are no rules or high scores. Your little ones will love digging up for bones in the ice and guessing what kind of dinosaur will emerge. 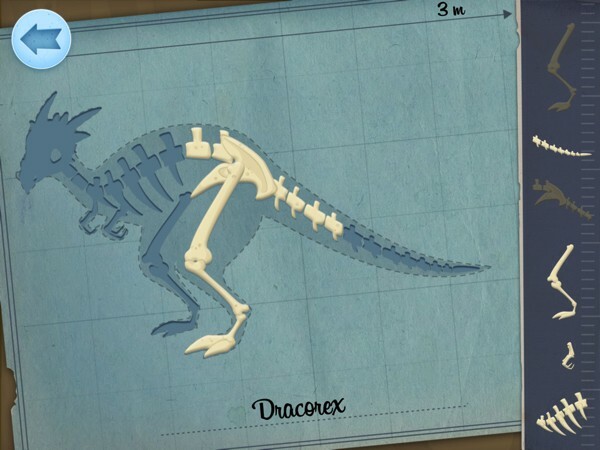 And the app has some really interesting ones: the magical Dracorex and the turtle-like Therizinosaurus, for example. While the app is no encyclopedia, it's fairly informative. At the very least, kids will find out the physical characteristics of various dinosaurs, how they got their names, and where they lived. What's interesting is how the app compares each dinosaur's weight to a living animal's instead of displaying raw numbers, e.g., an Icarosaurus weights the same as approximately two mice. This makes it easier for kids to visualize how big each dinosaur really is. If your kids light up at the sight of fossils then they will love Archaeologist Dinosaur - Ice Age. It lets them experience what it's like to be a paleontologist while keeping things light and playful. It isn't text heavy, but does provide basic information about a variety of dinosaurs. Greatly recommended.